Southerleigh Fine Food and Brewery opened in 2014 in what was originally Pearl Brewing Company’s brewhouse, built in 1894 and a San Antonio landmark ever since. 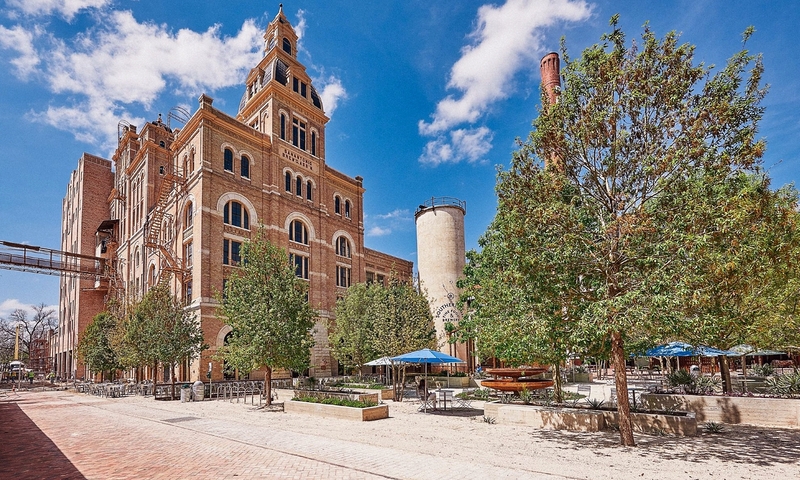 The restaurant portion of this brewery-restaurant is helmed by San Antonio Chef Jeff Balfour, who brings a modern take on Texas cross-cultural cuisine. Head Brewer Les Locke, who discovered homebrewing in the Marines while stationed in Hawaii at the age of 19, recently shared the following thoughts with Portland Kettle Works regarding his experience at Southerleigh. A recent Yelp review captures the customer experience at Southerleigh: “The interior is well decorated and rustic looking with all of their brewing equipment exposed on the 2nd floor. The smell of the place is right in your face, seafood and a hint of hops.” Stop in for a bite and a brew.